CHICAGO – “Super Troopers 2” held its star-studded premiere in Chicago on April 17, 2018. On the red carpet, Patrick McDonald of HollywoodChicago.com interviewed the cast of the film and the Broken Lizard comedy troupe including Jay Chandrasekhar (Chicago native, co-writer, director, star), Kevin Heffernan (co-writer, star), Erik Stolhanske (co-writer, star), Steve Lemme (co-writer, star) and Paul Soter (co-writer, star). CHICAGO – They’re back! 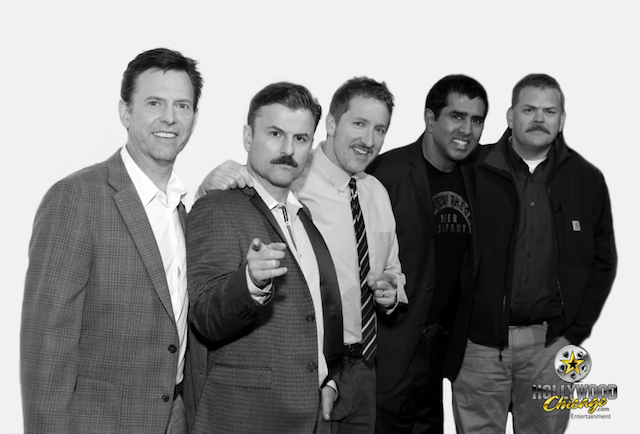 The gang from the 2002 film “Super Troopers,” also known as the comedy team “Broken Lizards,” are finally releasing a sequel, “Super Troopers 2.” Jay Chandrasekhar (also director), Kevin Heffernan, Steve Lemme, Paul Soter and Erik Stolhanske co-wrote and perform in the wacky adventures of their State Trooper characters mediating a Canadian/USA border dispute. CHICAGO – The Broken Lizard Comedy Troupe (Jay Chandrasekhar, Kevin Heffernan, Steve Lemme, Paul Soter, Erik Stolhanske) have made consistently funny, unique comedies since they broke through with “Super Troopers” and followed that with two films that are arguably better - “Club Dread” and “Beerfest”. They’ve made their first dud with the pretty bad “The Slammin’ Salmon,” now on Blu-ray and DVD.